Whether we attend to learn or share new ideas, conferences offer us opportunities for face-to-face interaction with stakeholders. 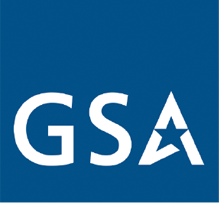 According to MPl’s quarterly publication, Outlook, meetings are thriving and their research indicates that corporations and associations are key contributors to recent growth. At this conference, delegates from around the world convene to vote on officers and changes to the Seventh-day Adventist Church's constitution. Attendees gather together in fellowship and have access to 100,000sq ft of tools, publications and resources offered by the Church during the conference. 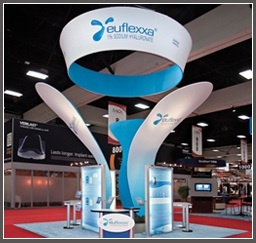 Adler Display used Nomadic Instand® pop up displays connected together in a double serpentine configuration that served as a pavilion for various constituencies. This series consists of one day events designed to provide investment management, insurance and credit clients with industry insights. Adimage-adexpo proposed unique presentation backdrops using Nomadic Instand® pop up displays, DesignLine monitor stands, and SignLine® banner stands. This smart investment provided a swift installation for conference panel discussions and were also used by their sales force after the conference. Jointly hosted by Deloitte and Enterprise Ireland, this symposium is regarded as one of Ireland's principal business conferences. 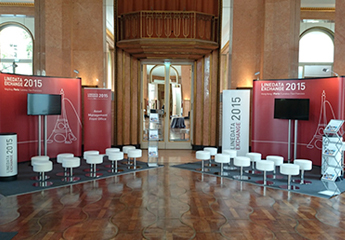 The invitation only event attracts up to 400 political leaders and chief executives. 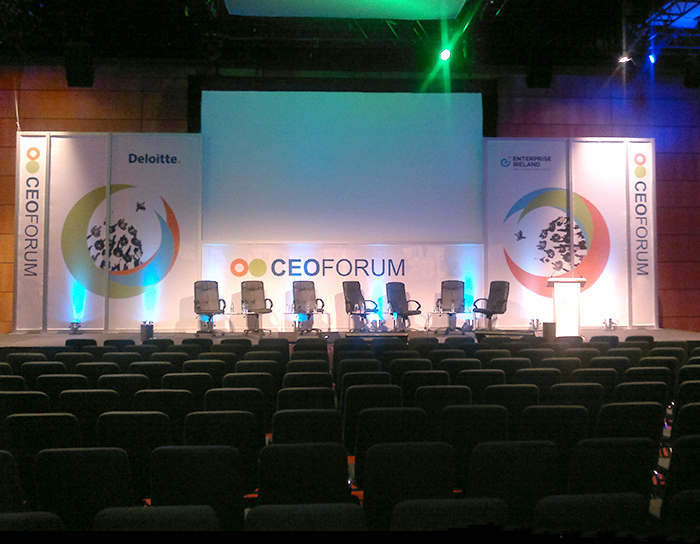 Held annually in Dublin Castle, the Forum has been a platform for collaborative thinking, knowledge sharing and debate. 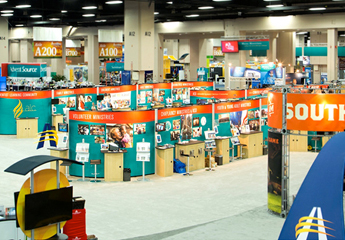 Conference organizers use graphic signage to welcome attendees when they arrive at a facility or to direct them to the appropriate session. 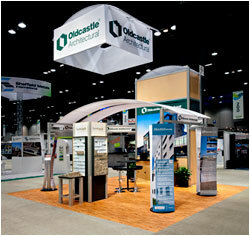 Kiosks and banner stands are more than up to the task. 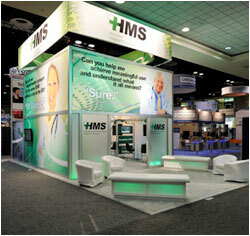 To see more examples of face-to-face marketing, visit our client gallery. 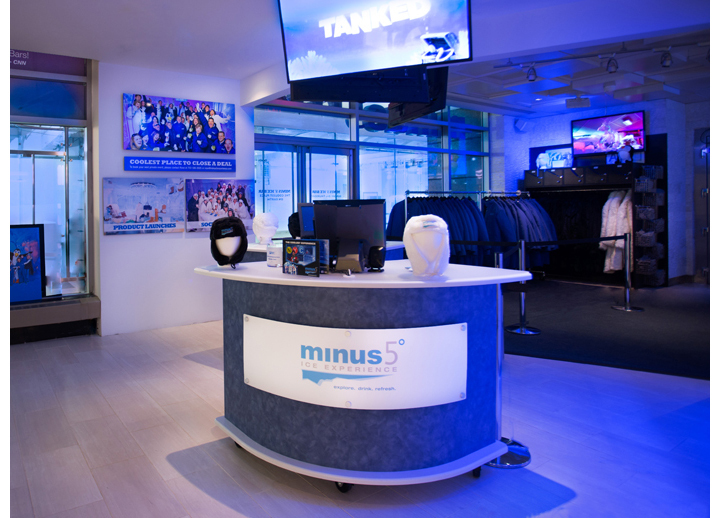 When minus 5° needed new counters for their Ice Bars in New York City and Las Vegas, Nomadic delivered a cool custom design. Each counter consists of 3 rectangular and crescent shaped sections that may be used together or disconnected for use independently. Plus it’s a breeze to roll the counters into any position or location on built-in casters. When you need a solid work surface that sets-up fast, take our new folding counter. 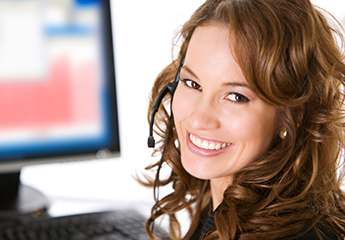 Take it anywhere, anytime you need a counter to distribute samples, register guests, or demonstrate product features. This counter supports up to 100 lbs. and features an open back for easy access to stowed items. 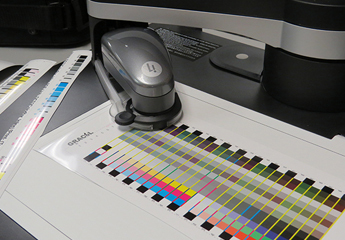 The counter base unfolds with your branded fabric graphic panel pre-installed on the frame. 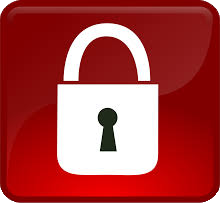 Watch the set-up video to see for yourself how easy it is. For more great counter ideas, visit our display gallery. Durham College’s original 20' x 20’ exhibit. Durham College’s new 20' x 50’ exhibit. Durham College is a public institution serving more than 12,000 full time students pursuing education in the arts, business, trades, health, culinary, hospitality, and technology. Recruitment is essential to the College’s mission so the Ontario College Information Fair is a major part of their annual enrollment plan. 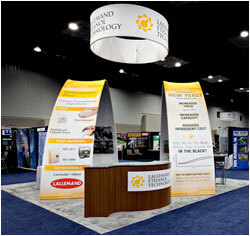 Our story begins in 2013 when Durham engaged Worden Displays to help them enhance their presence at the Fair with a new 20' x 20' exhibit for the event. 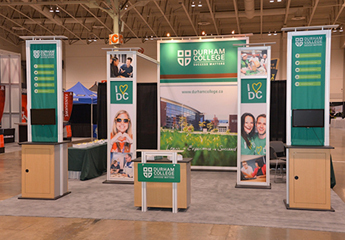 When preparation for the 2015 Fair came around, the Durham College team concluded they needed to make a stronger impression to stand out in a competitive landscape. 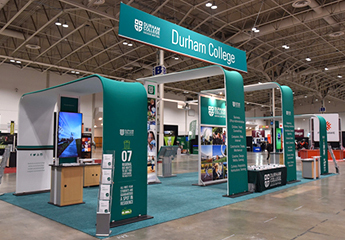 So the College more than doubled their booth space from 400 to 1,000 sq ft.
Durham College challenged Worden Displays and Nomadic to create a stellar design for the larger space. To stay within budget, Durham wanted to repurpose as much of their existing exhibit as possible. 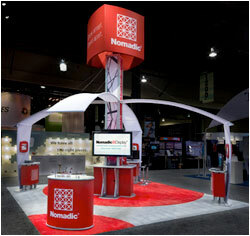 Nomadic was able to utilize 99% of the components from the 20' x 20' exhibit. Another hurdle was set-up time. Exhibit installation for the Fair is limited to a single day. 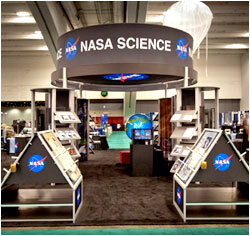 So the significantly larger exhibit had to be set-up without additional time.